LiFePO4 battery is better than lead acid battery from different point of view, except for price. 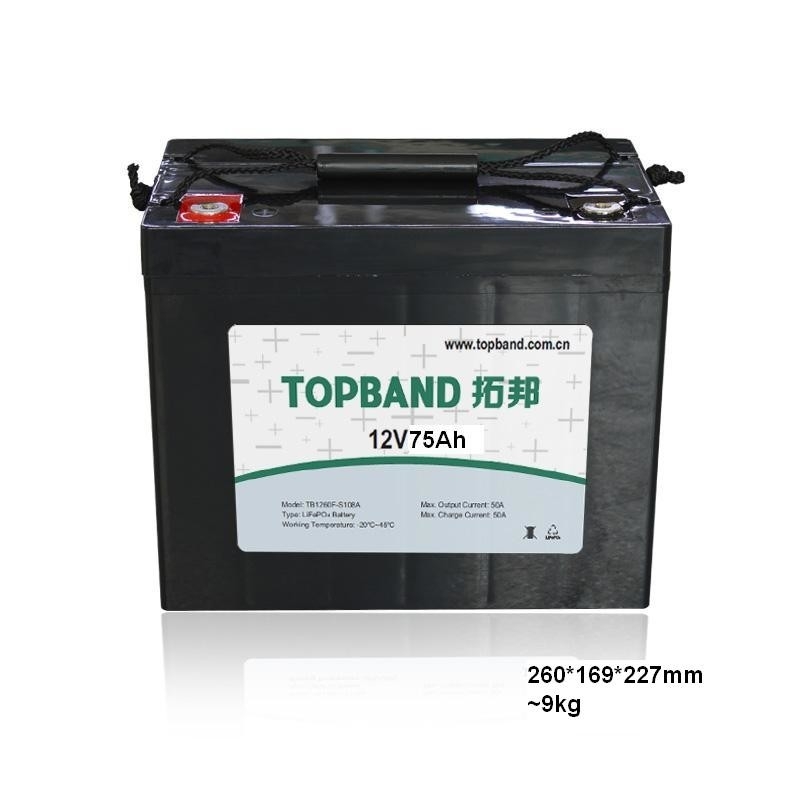 This specification defines the performance of rechargeable LiFePO4 battery pack TB1275F-S110A_00 manufactured by Shenzhen Topband Battery Co., Ltd, describes the type, performance, technical characteristics, warning and caution of the battery pack. 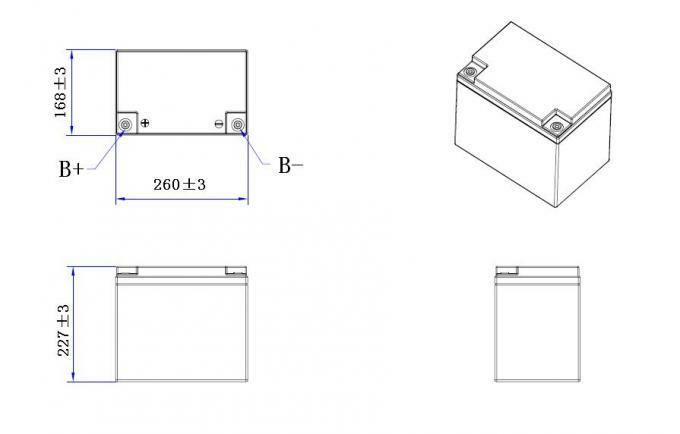 If the battery need be stored for a long time, the voltage should be 13.2V(50%SOC), and stored in the condition as storage proposal. It need at least one charge & discharge cycle every six months. 3.1.1 Unless otherwise specified, all performance tests are required to be conducted at temperature 25℃±2℃, Humidity less than 45%~75%RH. 3.1.2 Unless otherwise specified, the tested product is required to be unused within two months after outgoing. "Standard Charge" means at 25±2℃ charge to limit voltage with 0.5C constant current, then charge with constant voltage until current less than 0.02ItA.
" Quick Charge" means at 25±2℃ charge to limit voltage with 1 C constant current, then charge with constant voltage until current less than 0.02ItA. "Standard Discharge" means at 25±2℃ discharge to the cut-off voltage with 0.5C current. "Quick Discharge" means discharge to the cut-off voltage with 1C current. 4.1 Rated Capacity 75Ah Rest for 1 hour after fully charged, then discharge with 0.5C current until the battery reaches the discharge cutoff voltage. Repeat above process for three times, if the discharge time is not less than 120 minutes, you can stop and define the Discharging current*time value (Ah) as battery capacity. ≥1000cycle Discharge with the current of 0.5C until it can’t discharge, and then rest it for 1h. Charge the battery following CC(0.5C)/CV(14.6V) mode to full capacity, and then rest it for 1h. Repeat above process until full charged capacity is no more than 80% of normal value. Accumulated times is defined as cycle life. -20℃ ≥70% At 25±5℃ discharge the battery with the current of 0.5C to the cut-off voltage and record charge capacity. Store the battery at various temperatures for 2h and discharge the battery with 0.3C to the cut-off voltage. The batteries are supplied with a LiFePO4 Battery Management System (BMS) that can monitor and optimize each single prismatic cell during charge & discharge, to protect the battery pack from overcharge, over discharge, etc. Overall, the BMS helps to ensure safe and accurate running.